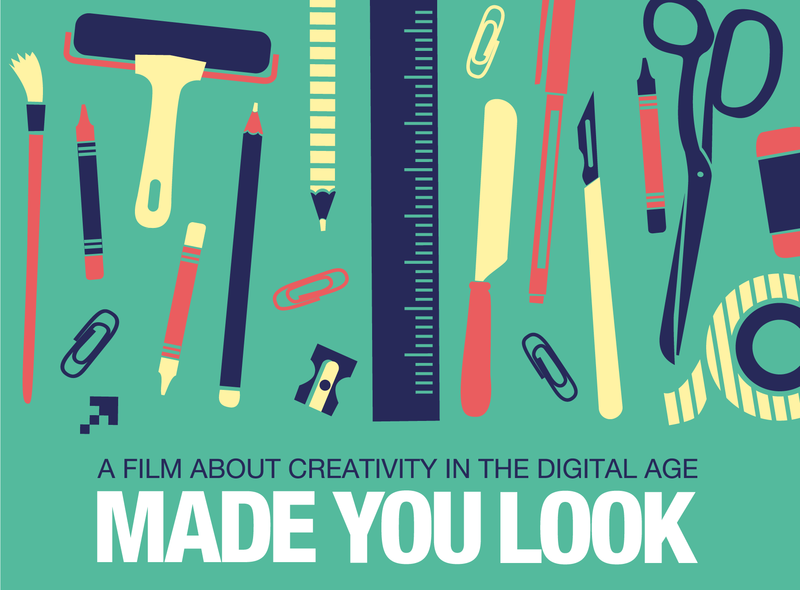 Made You Look is a documentary about the UK DIY graphic arts scene in the 21st century and includes contributions from top British creatives, publishers and agency owners including Anthony Burrill, Pete Fowler, Kate Moross, Fred Deakin of Airside, Jon Burgerman and Hattie Stewart. The film’s makers explore the idea that more people than ever seem to be turning to analogue methods of creating despite living in a highly digital world. Made You Look premiered at Soho House as part of the Pick Me Up festival in spring 2015 and is currently doing a tour of selected design events and festivals. The West of England Design Forum and Thirteen are thrilled to present this very special screening and Q&A session with the film co-directors, Anthony Peters and Paul O’Connor from the Look and Yes collective and illustrator Ed Cheverton. If you care about the graphic arts, are interested in the tensions between the analogue and digital worlds or are simply looking for an antidote to an industry in a constant and accelerated state of redefinition and recalibration, this event promises to be a real treat. Limited edition posters will be on sale at our pop-up stall before and after the film and panel discussion. Everyone loves a pop-up! To book your tickets, visit Arnolfini’s website or call the box office on 0117 917 2300.